No special technical skills needed. You can be any level of photographer, from someone who has always had a keen interest in photography to someone who is completely new to the subject. If the group you intend to come with have varying degrees of expertise in the field this is absolutely fine - the trip will be tailored to suit each of your needs. You will be in the hands of a top photographer and Expedition Leader who will ensure you get the most out of your trip. If you would like to have a more personalised experience below the recommended group size, we would be happy to facilitate this for you. Arrive on a Saturday to the city of Rabat. 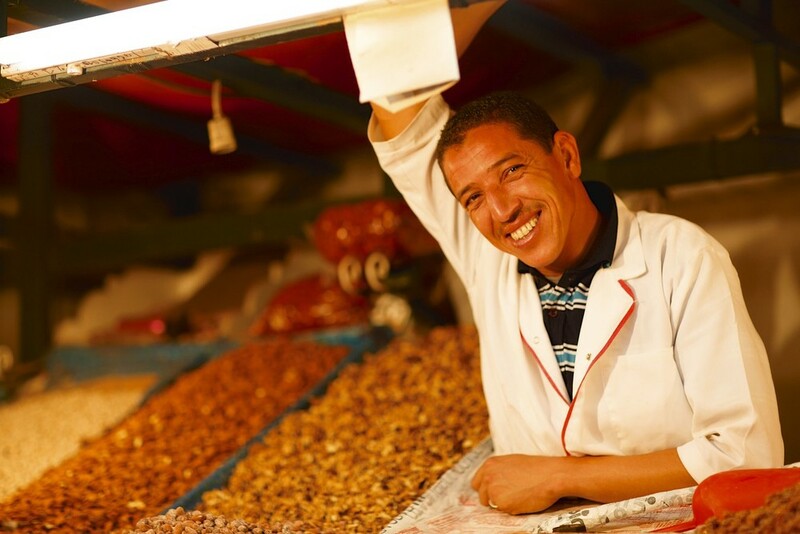 From here you will be transferred through the naturally beautiful Moroccan countryside to Fes. In Fes you will check into a luxury hotel and have the opportunity to relax post-flight and meet our expert photographer and travel team who will ensure you get the most out of the week ahead. After breakfast we will make our way to the tanneries Chouwara; one of the most striking sights in the Medina. With the warm morning sun rising upon the huge array of colourful dyes in honeycomb vats, this is a perfect place to start to develop your photography skills. We will then make our way through the Medina streets, a maze of vibrant alleys and stalls, where you can buy a whole range of local leathers, pottery and foods. Our trusted guide will ensure we experience the highlights of this Medina. After experiencing the best of the Moroccan cuisine for lunch, we’ll head to the North Fort, one of two forts that were originally built to guard the old city, for a lesson in sunset photography over the city. Today we’ll make our way from Fes to the ancient Moroccan city of Errachidia. On the way we’ll pass through the diverse Moroccan countryside that is a unique mixture of old villages and mosques, agricultural land, moon-like landscapes and barren scrub. This journey between cities will be very flexible in terms of where we stop on the way to practice our photography skills. There will also be the opportunity to stop off at the limestone crater lakes near the mountain resort of Ifrane. These stunning lakes are a haven for wildlife, especially birds such as herons and reed warblers. We will also be able to explore areas of the Cedar forests near to the lakes, where we will have a good chance of spotting the native Barbary apes. Once we arrive in Errachidia, we’ll check in a local hotel and relax after the journey. Today we’ll leave Errachidia to make our way to Merzouga, a small village close to the Sahara Desert. En route we will stop off at the Gorge du Ziz. This gorge is defined by artificial gates at both the northern and southern ends and boasts dramatic scenery carved by the power of the Ziz River. We’ll arrive at Merzouga at midday where we will have lunch before exploring the area. 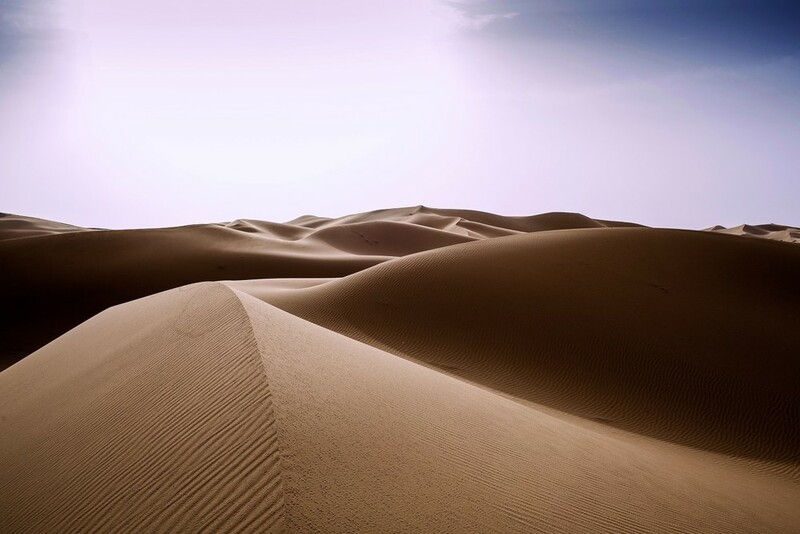 As the midday sun begins to fall it defines the shapes of the breath-taking dunes of the Sahara desert; these snake-like dunes stretch across the desert for miles. An evening in the desert gives us the perfect opportunity to photograph a perfect star filled sky. Today we’ll wake up early to watch the sunrise bathe the dunes with its warm rays. We’ll then make our way to the town of Ouarzazate, also nicknamed ‘the door of the desert’. En route we’ll stop at the Dades Gorge, another landscape offering beautiful scenery. Berbers (the local people) built many kasbahs surrounding the gorge for defence purposes. These kasbahs combined with the beauty of the environment make it a truly unique experience. Specifically we have the option of visiting the Kasbah Amerhidi, whose unparalleled architecture holds another unique photo opportunity. Once we arrive in Ouarzazate we’ll check into a hotel where we can relax before dinner. Today we’ll depart for Marrakech after breakfast. The journey to Marrakech is scattered with some great detours that offer further distinctive photographic opportunities. First we will stop at Ait-Benhaddou, a UNESCO world heritage site. This fortified mud-brick city on the edge of the Atalas Mountains displays striking examples of southern Moroccan architecture. We can then visit the Kasbah of el Glaoui in Telouet. The construction of this Kasbah was started in the late 1900’s by the Glaoui family, who had risen to power in Morocco south of the High Atlas Mountains. The Kasbah was never complete and its once luxurious ruins project an air of melancholic faded glory with the contrasting mountainous backdrop reminding us of the constant supremacy of nature. From here we will travel through the picturesque Ounila Valley to the Tizi-n-Tichka mountain pass that links Ouarzazate to the south-east of Marrakech through the High Atlas mountains. In the afternoon we will arrive in Marrakech where we can check into our luxury accommodation. The evening offers a great opportunity to experience Jamaa el Fnaa, a vibrant square and market place in Marrakech's medina quarter. At night this square holds a cultured mixture of storytellers, acrobats, musicians and entertainers. You can also sit atop the rooftop terraces, such as the Café du Grand Balcon, for an alternative view of the whole square. Today offers you the chance to explore Marrakech of your own accord. Here you can put the photographic skills you have learnt over the past week into practise. Marrakech offers a world of vivacious activity from the Souks (open-air marketplaces) to the distinctive architecture of historical buildings. El Badia Palace, which took 25 years to build, offers an insight into the past of Marrakech. After the fall of the Saadians and the rise of the Alaouite dynasty, the once luxurious palace entered a period of rapid decline and its ruins are now a popular tourist attraction. You also have the option of visiting the Saadian Tombs, dating back to the 1600’s, which were rediscovered and restored in the early 1900’s to exhibit its beautiful internal decorations. The gardens of Marrakech are a less notorious attraction of the city, but still a must see. The Agdal Gardens offer a combination of olive, lemon, orange and apricot trees surrounded by tranquil water features. Whereas the Majorelle Gardens, restored by Yves Saint Laurent, boasts a whole range of tropical colours. At the end of the day we have the option to re-group and celebrate our accomplishments in fine dining. This adventure will depart with a minimum of 4 people and a maximum of 12*. From £5,760 per person based on two people sharing (£825 single supplement), this includes international flights with British Airways from London Gatwick (flights from alternative airports worldwide possible), an Expedition Leader from ‘The Adventure Boutique’, local guides, accommodation, scheduled meals, tips for the local staff and local transportation. A non-refundable deposit of £1250pp will be required. How are we catered for? During the hotel stays in various cities across Morocco, you will be able to dine within the hotel or at nearby restaurants. When camping and travelling, a chef and kitchen team will accompany the group. You will not fail to be anything but amazed by their creativity. These meals will be tailored to your dietary needs. What clothing/equipment do I need? The Adventure Boutique team will give you a full comprehensive kit list when you sign up and be on-hand if you have any questions before the trip. Do I need to tip our local staff? You do not need to tip the local staff. Unlike other companies, we have included the tipping into the price so there are no hidden surprises when you arrive in the country. Tipping the Expedition Leader is at your discretion but will be much appreciated, especially after you witness their dedication and professionalism in looking after you and ensuring your enjoyment of the trip. How much spending money would you recommend on bringing? All scheduled meals, accommodation and travel are included in the total price of the trip. There will be plenty of opportunities throughout the journey to buy local produce from various shops and stalls, especially in the cities. If you wish to buy souvenirs, please take this into account when arranging your spending money. Do I need special insurance? You should not need any special type of travel insurance for this trip. Do ensure that your insurance covers the North Africa region. If you do not have adequate insurance cover, The Adventure Boutique team can refer you to appropriate insurers. This is dependent on your nationality, our team can advise you on this before signing up. British Citizens do not need a visa to visit Morocco for the designated time frame. Health facilities, hygiene and disease risks vary worldwide. You should take health advice about your specific needs as early as possible. Sources of information include: www.fco.gov.uk, www.hpa.org.uk, www.nathnac.org, your General Practitioner or a specialist clinic. Clients travelling to worldwide destinations are recommended to seek advice from the sources mentioned above and, where recommended, obtain vaccinations or tablets for protection against, for example, Malaria, Hepatitis A, Polio and Typhoid. The group size should be a maximum of twelve people. The number of participants is kept to a level where quality can be maintained. We normally have a maximum number so as not to allow the groups to become too large. We believe that by doing this, the Expedition Leaders will be able to look after you more carefully, in turn you will find the group dynamics work better and your success rate and enjoyment level increases immeasurably. If you are a group of friends of more than twelve, then obviously we will work together to accommodate you. If you would like to have a more personalised trip below the recommended group size, we would happy be to facilitate this for you too. What is the minimum age a person has to be to go on this adventure? The minimum age is 16 years old accompanied by a legal guardian or 18 years old otherwise. If you do have children and want to bring them, we would be happy to facilitate this. We would be happy to make necessary arrangements to accommodate a young person into a private group. There is no maximum age limit, providing you are fit and in good health. Will my mobile work? Can I stay in touch with the office or my family? You'll find some phone reception during your trip, partially when in cities. We specially carry a satellite phone in case of emergencies, but we also realise people may need to keep in touch with their loved ones or have some work commitments to deal with. The satellite phone can be used for a charge. Can I organise this trip exclusively for myself, my friends and family?